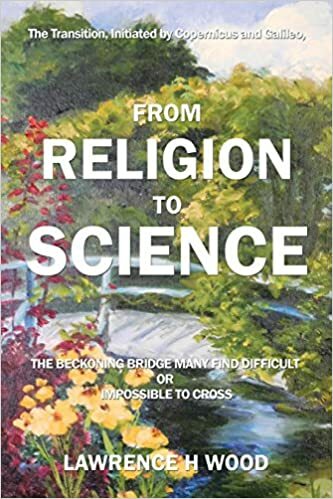 The Transition, Initiated by Copernicus and Galileo, from Religion to Science: The Beckoning Bridge Many Find Difficult or Impossible to Cross’ By Lawrence H Wood is a nonfiction book that seeks to shed light on the dichotomy between religion and science, and how the two can continue to co-exist side by side. The author details the transition from a religious based understanding to a scientific based understanding that began to occur in the mid sixteenth century, and discusses the two different explanations of ourselves and our surroundings–how they developed and why they co-exist when such coexistence is a constant source of confusion and conflict. In this book, Dr. Wood, a science historian, focuses on examining the historical aspects of science to further the reader’s understanding of the subject. This books is divided into sections that look at various aspects of the historical development of science. It’s a fascinating topic that is given very little attention in an academic setting, since most science classes focus exclusively on the actual science with no mention made of the history of science. I found it interesting to read about the historical development of scientific understanding, as people came to understand various scientific principles, starting in the 1500’s when Copernicus observed that the Earth revolved around the Sun, not the Sun around the Earth, as was the previous accepted belief. This marked the beginning of modern scientific investigation, along with the invention of the telescope and the microscope. I liked that the book described many scientific principles and theories and how they came to be discovered, and covered many different science disciplines, including geology, physics, biology, archaeology, and chemistry. I enjoyed reading about the discoveries and contributions of a wide range of scientists, from the sixteenth century to the present. The book focuses on a variety of subjects from discovering that the Earth is billions of years old to modern advances in DNA and gene-splicing, but the author describes it in terms that make the information accessible to average people who may not view themselves as particularly scientific-minded. The author’s use of graphs and charts to illustrate points was a welcome inclusion that helped to further my understanding of the explanations presented in this book. Another helpful tool was the author’s summation of information at the end of each chapter.